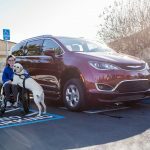 Ever an innovator, the Chrysler Brand achieved a whopping 37 “firsts” when it unveiled the All-New Chrysler Pacifica in model year 2017. The most notable innovation, arguably, was the available gasoline-electric hybrid engine, a means of locomotion not previously offered in the minivan segment. 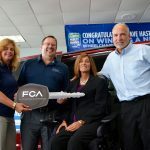 FCA and the Chrysler Brand recently leveraged that noteworthy first into another, teaming up with REV Group, a designer, manufacturer and distributor of specialty vehicles and parts, to produce America’s first wheelchair-accessible hybrid minivan – the Revability Advantage Chrysler Pacifica. Revability, the mobility division of REV Group, custom built the Advantage Pacifica entirely at its Michigan facility, lowering the Pacifica’s floor, installing a deployable rear ramp, fabricating and relocating a new gas tank, and performing other structural changes to help ensure safety, stability and easy wheelchair access. 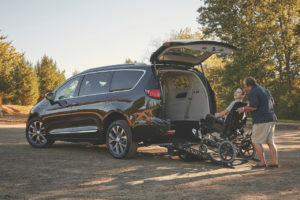 The Advantage Pacifica features front- and middle-row captain’s seats with wheelchair accessibility from the rear of the vehicle via a manual low-effort counterbalanced ramp. An optional trifold ramp maximizes luggage-compartment storage space when the wheelchair is not in use. When folded in this configuration, it provides secure storage beneath the ramp, while maintaining wheelchair accessibility. 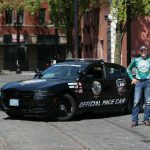 Revability will market the vehicle to both commercial and personal-use customers. 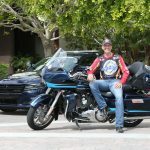 The Advantage Pacifica will go on sale in the first quarter of 2018. The specialized minivan made its debut at the 2017 Los Angeles Auto Show. 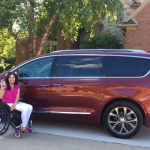 Remember – the FCA US Driveability Program provides customizable adaptive equipment to help make life easier for people with disabilities. Visit the program website to learn more about the available $1,000 reimbursement on the purchase of qualifying equipment.